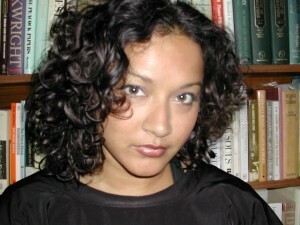 Nandita Biswas Mellamphy is Associate Professor in the Department of Political Science at The University of Western Ontario, specializing in critical and radical political theory and the history of political thought from antiquity to post-modernity. She is also an affiliate member of the Department of Women’s Studies and Feminist Research and has served as acting Associate Director of the Centre for the Study of Theory and Criticism (Western). Her research interests are situated at the intersection of Political Theory, Cultural Theory and Continental Philosophy. Her topics of study include post-humanism, digital media culture, continental philosophy, and the political dimensions of contemporary science-fiction and current-day neuroscience. Recently, she held a visiting research fellowship at the Center for Transformative Media at the New School in New York City. She is best known for her work on the 19th-century thinker, Friedrich Nietzsche, and is author of The Three Stigmata of Friedrich Nietzsche: Political Physiology in the Age of Nihilism (Palgrave Macmillan, 2011) and with Dr. Dan Mellamphy, she co-ordinates the annual international Nietzsche Workshop at Western. Her current research and teaching focus on the study of fear and terror as engines of globalization, particularly within the domain of what today is called the ‘war on terror.’ She has organized two international interdisciplinary conferences devoted to the study of war and the techno-politics of globalization, and presented her work all over the world, most recently at the Center for 21st-Century Studies at the University of Wisconsin-Milwaukee. She has served on the editorial review boards of The Intergenerational Justice Review (Germany), The Canadian Journal of Political Science, The Canadian Journal of Continental Philosophy, Polity Press, Palgrave Macmillan Press, and serves on the advisory board for Punctum Books.